Everyone has a Golden Age, when entertainment is suddenly brilliantly illuminating and perfectly relevant, shining on the path that leads you to the you you're becoming, endlessly enduring, eclipsing what came before, which is nostalgic but suddenly old-fashioned and childish, and forever outshining what comes after, which is derivative and crass. Music was never truer than in the Golden Age, movies so perfectly executed, books and comics never more personal, insightful, viewpoint-changing. My Golden Age was the late 70s through the end of the 80s. 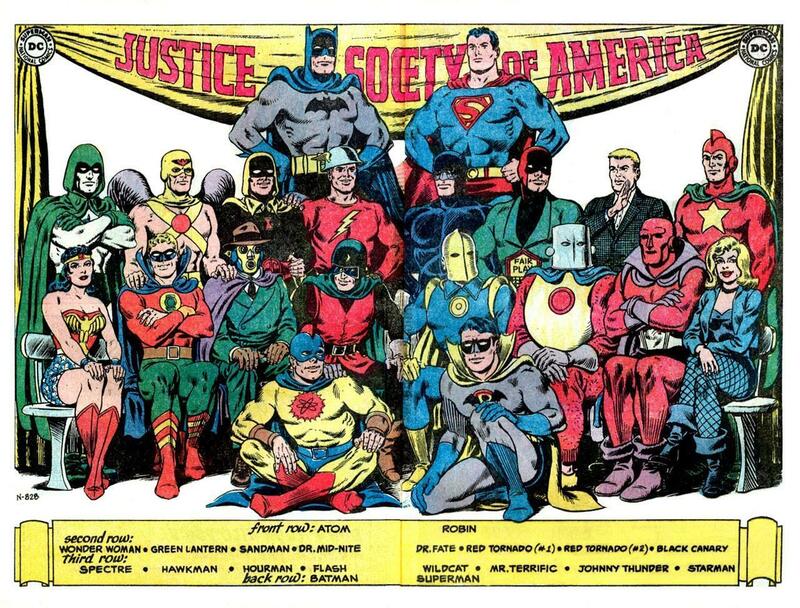 Star Wars is the greatest movie of all time, 70-80s music is the best music, Alan Moore changed comics like no one before him or since, the Legion of Super-Heroes is the greatest superhero team, George Perez the greatest superhero artist. That sort of thing. My perspective these days may well be described as keenly aware that my personal Golden Age is long behind me. 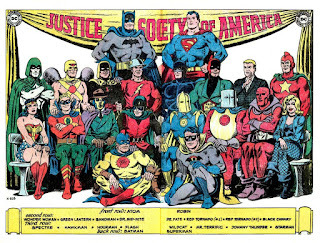 You can bring Paul Levitz back to the Legion, but it can't make me 12 years old again. It is not that I am without enthusiasm -- Read Squirrel Girl! Watch The Good Place! -- it's more that I have a complicated relationship with nostalgia. I am a physicist by schooling and trade. That brings with it a certain requirement to analyze everything in front of me. That means stories, too. And eagering sopping up analytic tools from the likes of William Goldman or the explicitly-metafictional Sandman stories of Neil Gaiman means that I can't just experience a story. In fact, too often, I see the levers and strings and gears of the story working. The Law of Conservation of Actors means that if Robin Williams guest-stars on Law & Order: Special Victims Unit, Robin Williams is the bad guy; they can't disguise that. If Emma Lathen's mystery novels usually have the murderer exposed by exposing their secret motive, then you can predict the murderer in Chapter Two when all of the other suspects have obvious motives. I see what you did there. What can you expect from Greg Morrow? Irregular posting. Commentary on comics, TV & movies, books. Expect morosity, exasperated comdemnation of incompetence, occasional bursts of wide-eyed enthusiasm. When the situation calls for it, imaginative profanity. Elsewhere, I write essays under the title "Meanwhile at the Hall of Justice", which are about goings-on at the Supreme Court, translated for the lay audience, filled with as many blasphemous expletives as I can muster. But even profanity sometimes fails in the face of injustice. Speaking of injustice, one of my primary interests is superheroes, and I should make clear that I am long past any interest in deconstructing superheroes or imagining how men from mars and transdimensional sorcerers would confront untidy -- unstorylike -- reality. Superheroes are aspirational for me. I use "What would Superman do?" as a motivator to accomplish more when I want to be lazy, or to be nicer when I want to be mean or selfish. I like superheroes because I want the bad guy to get their narrative comeuppance. I get enough of planning meetings and consequence-free dotard malefactors in real life; superheroes are from a better world, one that we should aspire to.